In the same way that standing near a fire makes us warm, drawing near to God changes us. When our priorities and behaviors change, we grow, bearing the fruit of the Spirit. 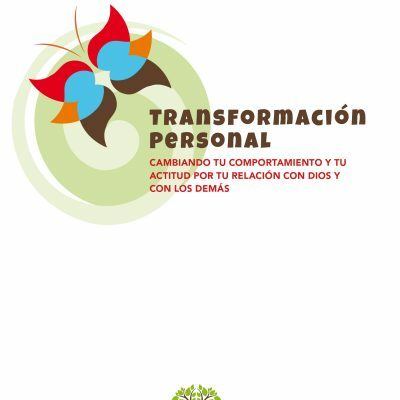 Are you ready for healing and transformation in your life? The Grow and Change study will give you the tools you need to create real and lasting transformation in your life and the lives of those around you. Diversity. Respect. Acceptance. We are called to reflect God to people… yet we are not God. We are imperfect, broken people who make mistakes. How do we create harmony in our home and Kingdom community? Relate in Healthy Ways provides insight on the topics of respect, forgiveness, acceptance, and encouragement of others. Prayer, respectful conversations, and embracing diversity are also covered in this guide. We are each on a spiritual journey toward a more meaningful life. 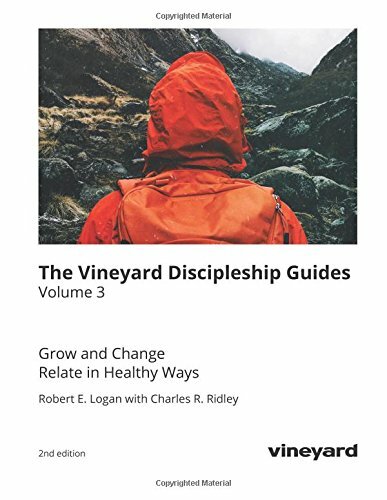 The Vineyard Dimensions of Discipleship Guides are a set of four volumes intended to assist you along that journey. Each lesson provides clear explanations, relevant scripture passages, and questions to help you and your small group dive deep into God’s word. Action steps provide opportunity for practical application of what you’ve learned. Each volume explores two dimensions of discipleship that flow from the foundation of knowing God and staying in tune with him. From that place of connection, you can trust the Holy Spirit to lead you. 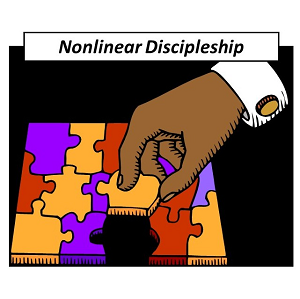 “Jesus’ departing commission to all those who follow him is to make disciples as they live their lives. 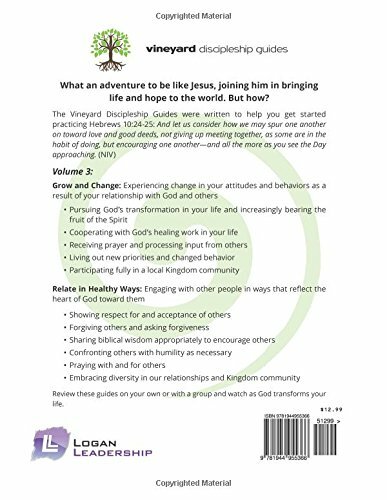 The Vineyard Discipleship Guides provide a simple, powerful way to develop other followers of Jesus to hear and obey God, highlighting the unique values God placed in theVineyard. 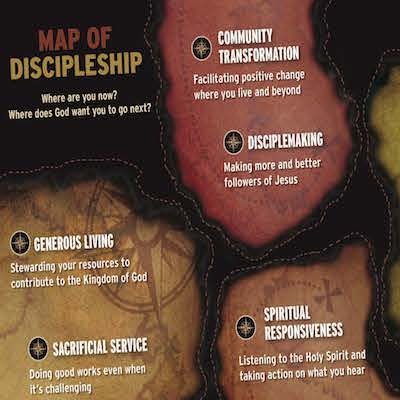 This is a valuable resource that can be used around the world.”~ Mark Fields, Vineyard Missions Director of Global & Intercultural Ministry Also available in this series: Volume 1: Experience and Worship God, Partner with the Holy Spirit Volume 2: Serve Sacrificially, Live Generously Volume 4: Make Disciples, Impact Your Community There is always a next step in the journey of faith. What’s yours?